Fast Ethernet is a 100 Mbps specification. Small Computer Systems Interface (SCSI) is an intelligent I/O parallel peripheral bus with a standard, device-independent protocol that allows many peripheral devices to be connected to the SCSI port. 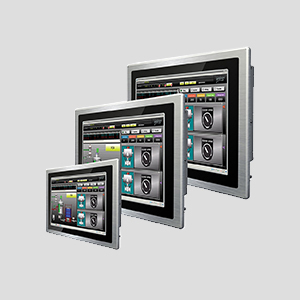 Human machine interfaces (HMI) are operator interface terminals with which users interact in order to control other devices. Some human machine interfaces include knobs, levers, and controls. Others provide programmable function keys or a full keypad. Devices that include a processor or interface to personal computers (PCs) are also available. Many human machine interfaces include alphanumeric or graphic displays. For ease of use, these displays are often backlit or use standard messages. When selecting human machine interfaces, important considerations include devices supported and devices controlled. Device dimensions, operating temperature, operating humidity, and vibration and shock ratings are other important factors.